Does plastic around the world really get recycled? Not at all! Only 9% of discarded plastic is recycled. Plastic pollution is threatening the marine ecosystem worldwide. More than 8 billion tons of plastic are produced by humanity, and about 8 million tons are dumped into our oceans every year, where it persists for decades. Over the next years, the amount of marine plastic waste will double if we do not act. A global issue affects our ocean, our health, and our well-being. In fact, oceans host 80% of the planet’s biodiversity, they are the largest ecosystem on Earth, and are an import source of food. Despite the fact that researchers are uncertain about the nature and extent of the risk of marine debris on ecosystems and humans, the concern about plastic persistence and their effects on the oceans has increased since the last decade. Once in the ocean, the huge amount of plastic, although widespread, affects the safety of sea transport, fisheries, tourism, recreation, and biodiversity. Bags, bottles, straws, rope, fishing gear and pieces of plastic are affecting a diversity of ocean wildlife, such as whales, turtles, fishes, crustaceans, and seabirds. Even marine animals living in the deepest waters are influenced by the high concentration of plastic in the oceans. Besides, the entry of plastic pieces into our food chain is one of the biggest unknown to human health. For example, when plastic broken up, its tiny pieces can attract toxic chemicals released from industry and agriculture, and move up across the food chain, from bottom feeders to apex predators. However, beyond the food web issues, the interaction with wildlife, by ingestion and entanglement, is the most direct impact from plastic pollution (Rochman et al., 2016) (Figure 1). 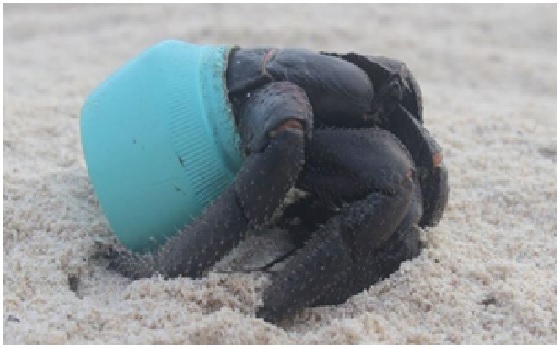 Figure 1: A small crustacean that make his home in plastic container carried to the ocean. Nevertheless, how does the concentration of plastics in the ocean have affected almost all islands around the world, even though those practically uninhabited? How all this plastic comes in remote places? A range of factors influences the abundance of plastics debris in beaches, including local currents, beach topography, and weather conditions. A study published this year provided a comprehensive analysis of the quantity and source of beach-washed plastic on one of the world’s remotest island (Lavers and Bond, 2017). The Henderson Island, located in the South Pacific, presents the world’s highest density of plastic waste, about 671 items per square meter totaling almost 18 tons (Figure 2). How an uninhabited island got the world’s highest density of trash? In spite of no one lives there, the island is in the way of a circular ocean current and receives waste from ships coming from the coast of South America, acting as sinks for the waste of the world. Aside from fishing gears, the researchers found a variety of familiar everyday items in the island’s beaches, such as water bottles, toothbrushes, lighters and razor blades. 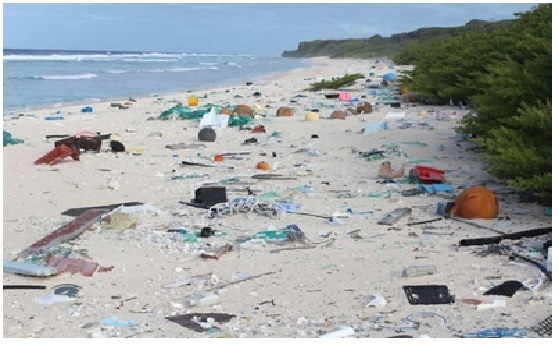 Figure 2: Plastic debris on East Beach on Henderson Island, much of them originated from fishing-related activities and land-based sources. More in general, plastics have become increasingly dominant since the 1940s. At least 4 billion tons of plastic have been manufactured only in the last 13 years, and current trends point to the production of 12 billion tons of plastic waste by 2050. The annual production of plastic has increased from 1.7 million tons in 1954 to 311 million tons in 2014 (Plastics Europe, 2015). However, the highest recycling rate is only 30% (Europe), followed by 25% (China) and 9% (USA). Fortunately, a team of scientists has found a species of bacteria that eat a type of plastic (polyethylene terephthalate or PET) found in most of disposable water bottles (Yoshida et al., 2016). The study shows that these organisms can eat the PET pretty well, so a bowl of plastic soup would be a good meal for them. However, others initiatives, encompassing different sectors, are necessary to reduce the mismanaged plastic waste generated by society as well as industry. For example, the production of coating tiles from PET bottles by Brazilian architecture, an innovative product that takes 66 bottles from the environment to produce 1 m2 of coating (rivesti.com.br). However, although, small changes can generate a big impact, the issue of how manage all the retrieved plastic is still open. When you cast plastic into the ocean, it does not go away. Well, this is not really true! Indeed, in spite of plastic is so permanent and so indestructible, some technologies have been developed to recycle plastic removed from the sea. Some initiatives have been established by nongovernmental organizations and foundations, such as the Cleanup Day Organization (cleanupday.org) and the Plastic Oceans Foundation (plasticoceans.org), but also big companies are supporting conservation actions. For example, in 2016, the Beazley Designs Award (beazleydesignsoftheyear.com) selected a trainer sneakers made of waste plastic filtered from the ocean. In the same year, another product was announced how the first ocean friendly swimwear produced by recycling fishing nets and other discarded nylons. Sustainability initiatives that create products and encourages creatives to repurpose sea waste and raise awareness of the growing issue have been increased and are crucial to protecting marine life below the surface. Figure 3: Running sneakers (Adidas brand) and swimwear (Volcom brand) made out of recycled ocean waste. Another crucial point about plastic in the oceans is regard fishing gear left at sea (also called ghost gear) having a severe negative impact on the oceans life. The Global Ghost Gear Initiative (ghostgear.org) is an important project to create global awareness and to reduce the amount of plastic on the oceans. In addition, the Forestry Foundation and the Fisheries Institute of Sao Paulo State are working in a similar initiative in Brazil, called Lost Fishing Gear Project. This partnership aims to tackle the problem of abandoned, lost or otherwise discarded fishing gear in the waters off the coast of Brazil. Since the project started in 2009, over 2 tons of lost fishing gear have been removed during clean-up diving campaigns around Brazilian coastline. Nowadays, the scientific literature about marine plastic debris is increasing considerably, probably reflecting a growing concern that marine debris are hazardous. The study to quantify ocean trash on a global scale concluded that 8 million tons of trash flow into the ocean every year (Jambeck et al., 2015). However, without waste management improvements, and based on population growth data, the cumulative quantity of plastic waste available to enter the ocean from land is predicted to increase by an order of magnitude by 2025. Prevention and mitigation of this issue are extremely challenging and costly and requires considerable time although is crucial to breaking the vicious cycle of plastic pollution. If we do not change our behavior we might end up with more plastic than fish in the ocean. Then, will the unrecycled oceans survive in the Anthropocene? Once the marine debris is a global environmental issue, the oceans’ survival will depend on the global efforts and investments in solutions that will raise awareness of plastic pollution. Sustainability efforts have been created around the world, but some mitigation strategies, including economic, socio-cultural, and environmental concerns, must be adopted, such as controlling plastics consumption and waste generation, creating new methodologies to recycle plastic waste, and extended producer responsibility as well. Since the oceans provide a variety of vital ecosystem services, the general population, the industry and the political system need to work together to reverse that plastic soup into a healthy meal! Jambeck, J. R., Geyer, R., Wilcox, C., Siegler, T. R., Perryman, M., Andrady, A., et al. 2015. Plastic waste inputs from land into the ocean. Science, 347(6223), 768-771. Lavers, J. L. and Bond, A. L. 2017. Exceptional and rapid accumulation of anthropogenic debris on one of the world’s most remote and pristine islands. Proceedings of the National Academy of Sciences, 114 (23): 6025-6055. PlasticsEurope. 2015. Plastics – the Facts 2015: An analysis of European Plastics Production, Demand and Waste Data (PlasticsEurope Market Research Group, Brussels). Rochman, C. M., Browne, M. A., Underwood, A. J., Franeker, J. A., Thompson, R. C., & Amaral‐Zettler, L. A. 2016. The ecological impacts of marine debris: unraveling the demonstrated evidence from what is perceived. Ecology, 97(2), 302-312. Yoshida, S., Hiraga, K., Takehana, T., Taniguchi, I., Yamaji, H., Maeda, Y., ... & Oda, K. 2016. A bacterium that degrades and assimilates poly (ethylene terephthalate). Science, 351(6278), 1196-1199. How does climate change affect fishing?